Malcolm Smith: But remember, I'd have never known about the phony ticket or the stealing if you didn't tell me, which means you're very noble. 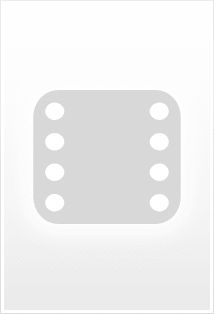 You're as noble as Abraham Lincoln or Raymond Massey. 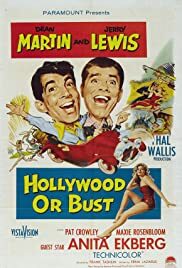 "Hollywood or Bust" was the last of Jerry Lewis and Dean Martin musical comedies and a very good one. Although it is not as bracingly innovative and riotous as Tashlin's "Artists and Models", I kept laughing throughout. Some hilarious and enjoyable scenes come to mind: The opening moments in the movie theater where Lewis is ruining a woman's hair with popcorn; the rousing musical number "A Day in the Country" (Martin and Lewis in a car) which is Tashlin's homage to the "Beyond the Blue Horizon" number in Lubitsch's 1930 musical "Monte Carlo"; and there is Lewis' imitation of Rudolph Valentino's "Blood and the Sand". Sure it can be silly and puerile at times, but it's a lot of fun.